It’s been about six months since we went live with this project under the name PostFifty, and it needs a few tweaks. I have looked at issues of design, hosting, writing and most importantly, name, and have changed a few things. 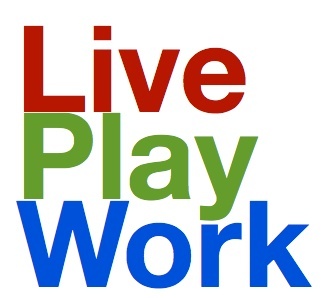 Welcome to LivePlayWork. My original idea for content was to find people who wrote in their day job, but led interesting lives that they could talk about. I can think of at least two of the people I asked who are almost burned out by their day job, and though this would be a great opportunity. But apparently writers don’t need a busman’s holiday, they have written enough. It didn’t work. I am following a more traditional route, looking to promote new voices rather than providing an outlet for those who already have a platform. we have been working with a custom website design on a relatively expensive hosting service. I am switching back to a more linear design, with hosting on WordPress, which has some real advantages. One that I have found is that there is an app for smart phones that lets me do posts right from my iPhone! We are back to a more traditional linear design, with big, big photos. It is what they call a “responsive” design, that works well on phones, tablets, notebooks and even the new retina displays. I thought postfifty.com was a great name, but have met quite a few people that I would have thought were my target market and said that they wouldn’t be caught dead going to a site that reminded them that they were post fifty. It is a good point. Also it was a bit too close to Huffington Post’s Post 50 site. The baby boomer generation is not just post fifty, it is a moving target that should not be tied down to everyone over 50. It is a tighter niche. In the face of few better alternatives, we are reverting to LivePlayWork.net. September 9, 2012 in Work. Why were there almost no hearing aids at CES?